Over the last two decades drama pedagogy has helped to lay the foundations for a new teaching and learning culture, one that accentuates physicality and centres on performative experience. Signs of this ‘performative turn' in education are especially strong in the field of foreign/second language teaching. This volume introduces scholars, language teachers, student teachers and drama practitioners to the concept of a performative foreign language didactics. 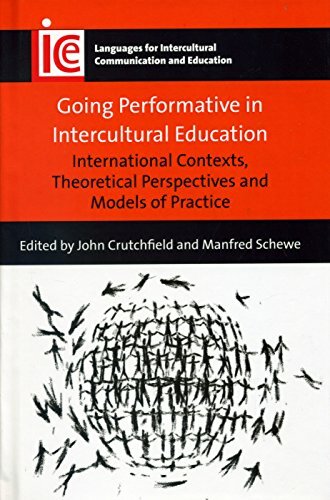 Approaching the subject from a wide variety of contexts, the contributors explore the extent to which performative approaches, emphasising the role of the body as a learning medium, can achieve deep intercultural learning. Drama activities such as improvisation, hot seating and tableaux are shown to create rich opportunities for intercultural encounters that transport students beyond the parameters of conventional language learning.